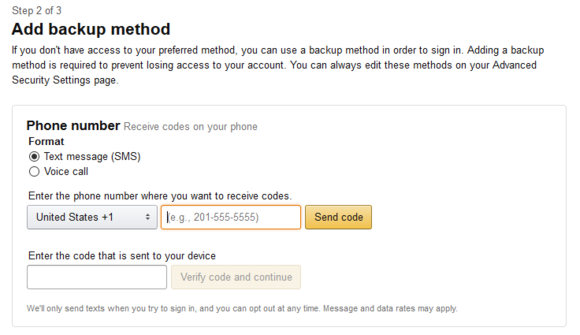 Amazon quietly added two-factor authentication as a security option for account holders in recent weeks. Here's how to activate it. 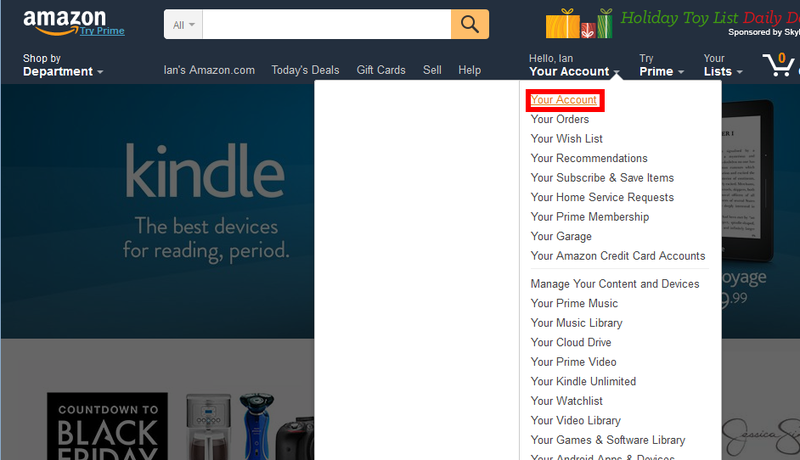 It’s not clear when it happened, but Amazon recently added two-factor authentication as an login option for your Amazon account. This is a key security measure that's long overdue on a site that handles your credit card information. 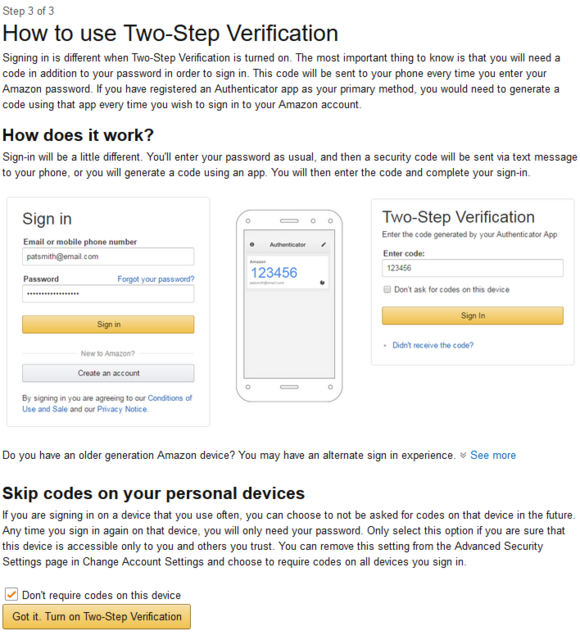 For several years, we’ve encouraged you to add two-factor authentication to your accounts whenever possible, and Amazon is no different. 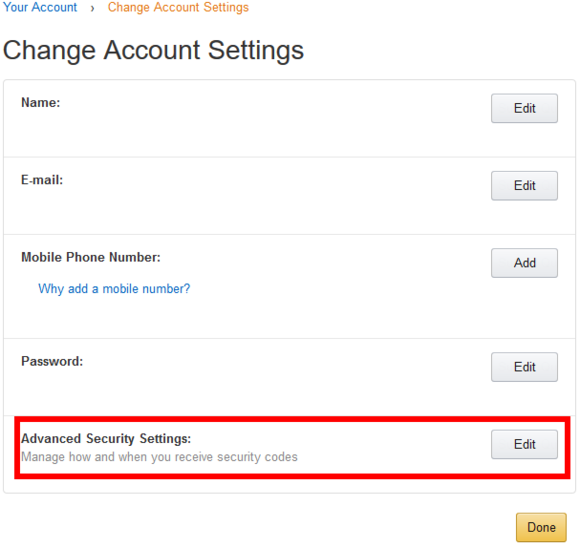 When the new security option is active, signing in is a two-step process. First, you sign-in with your password as usual, then you’ll be required to enter a short code generated by a smartphone authenticator app or received in a text message. The advantage is that if your password is compromised by a hacker they won’t be able to access your account without the short code—a much harder proposition. 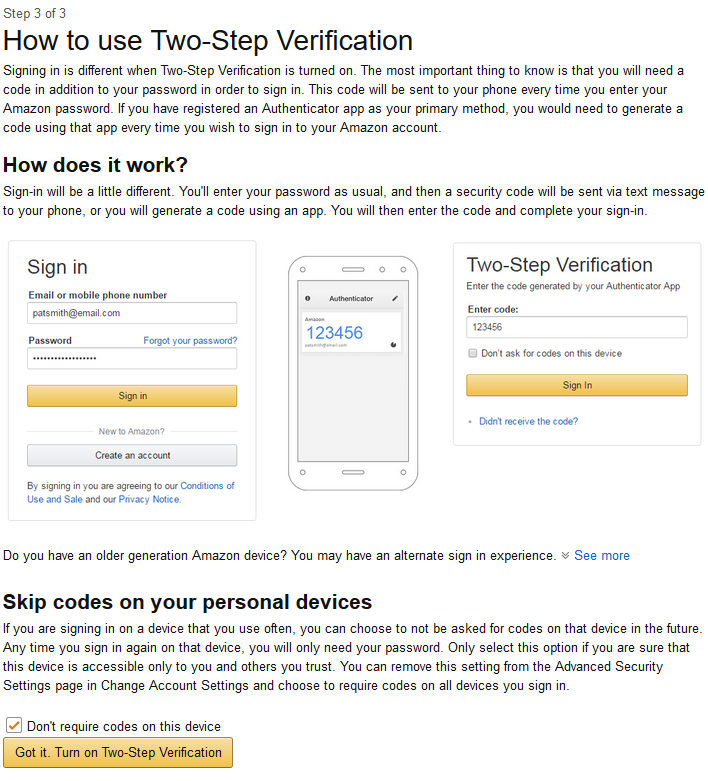 If you want to add two-factor authentication to Amazon here’s how to do it. Get started by going to your Amazon account dashboard. 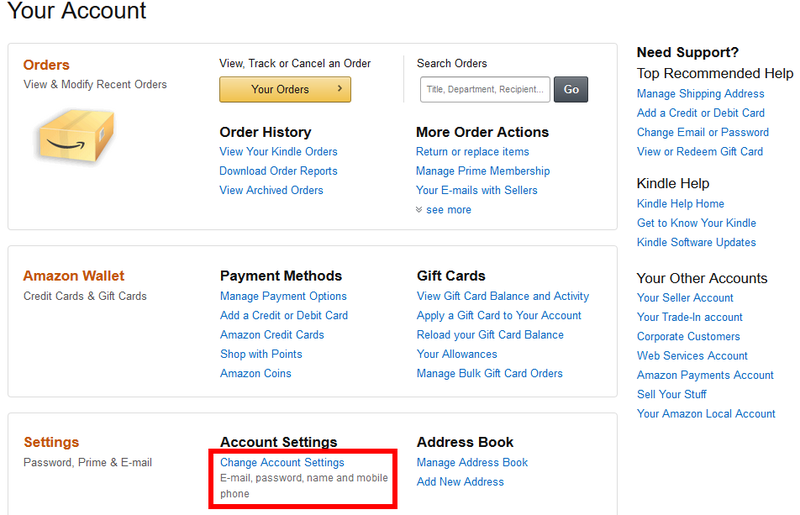 Get started by signing in to your account, and then click on Your Account in the upper right-hand corner. 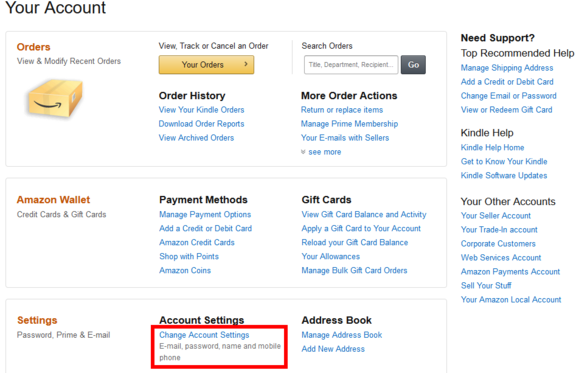 On the next page, scroll down to the Settings section and click on Change Account Settings. This will take you to yet another page where you must click on the Edit for Advanced Security Settings. Now we come to the start of the two-factor authentication process. Click the Get Started button you see on the page as pictured here. Next, you’ll be asked if you want to receive your codes through an authenticator app or text message. For our purposes we’ll use the authenticator app option. Personally, I use Google’s Authenticator app on Android, but a third-party services such as Authy is also a good choice. Authy has the added bonus of saving your authenticator credentials in the cloud making them available on multiple devices. 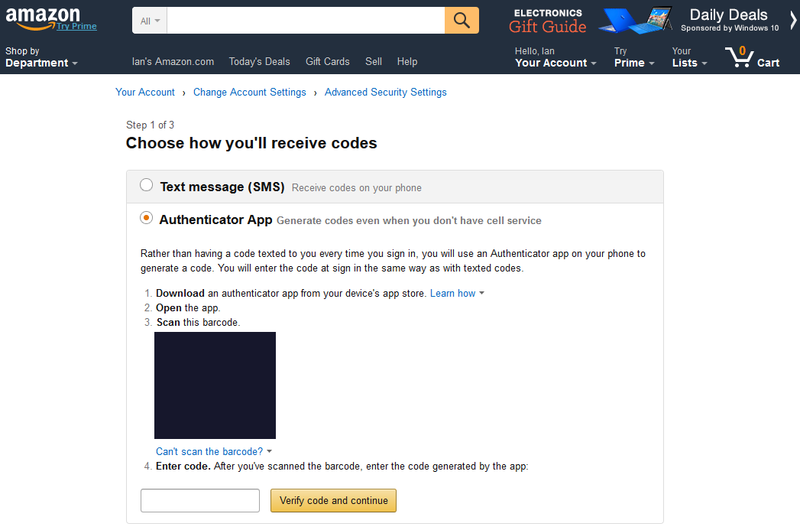 Whatever authenticator app you decide to use, scan the barcode (it’s blacked out in the image above), enter the code the app generates for your Amazon account into the text entry box, and click Verify code and continue. 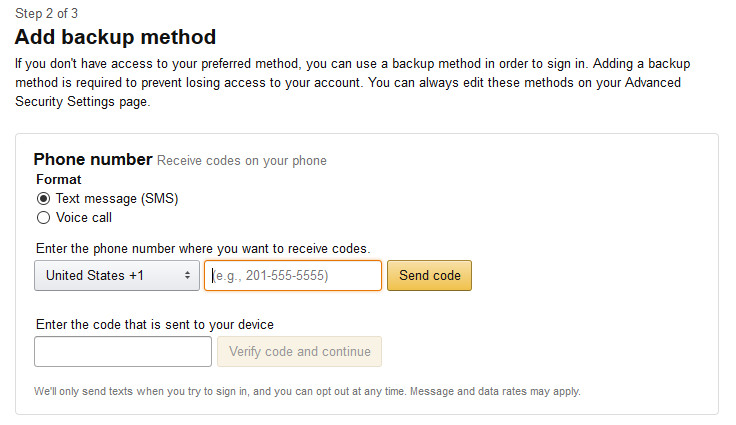 On the next page, you’ll be asked to enter a back-up phone number where you can receive either a text message or voice call to receive codes in the event you lose access to your authenticator app. Once you’ve entered your phone number and selected to receive either a text message or voice call, you’ll receive a code as a test run, enter it into the text field, and then click Verify code and continue. The final page just walks you through the process of using two-factor authenticationr. If you’re new to multi-factor login it’s a good idea to read over this page. This page also has the option to not require sign-ins on your current device, which is selected by default. If you’d rather not use this option un-check the box that says Don’t require codes on this device. Keep in mind that on a PC “this device” really means “this browser.” If you set-up two-factor authentication on Chrome and then move to Firefox you will have to use two-factor authentication to login on Mozilla’s browser. This will also happen if you delete your browser cookies on your current browser. Once you’re ready click Got it. Turn on Two-Step Verification and you’re done.